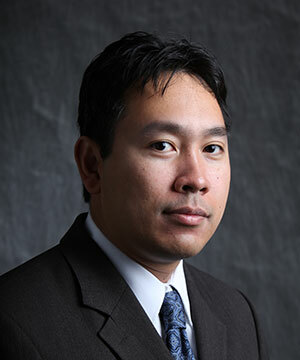 A. Agung Julius is an Associate Professor at the Department of Electrical, Computer, and Systems Engineering at the Rensselaer Polytechnic Institute. He is also a faculty member of the Rensselaer Center for Automation Technologies and Systems. His research interests lie in the intersection of systems and control theory, systems biology, and theoretical computer science. He received the Bachelors degree in Electrical Engineering from Institut Teknologi Bandung (ITB) in Indonesia in 1998, and an MSc and Doctoral degree in Applied Mathematics from the University of Twente in the Netherlands, in 2001 and 2005, respectively. Prior to joining Rensselaer, he was a Postdoctoral Researcher at the GRASP Lab at the University of Pennsylvania. Dr. Julius co-authored papers that received the "Best Application Paper Award" at the 10th Int. Conf. on Ubiquitous Robots and Artificial Intelligence (URAI 2013), and a finalist for the "Best Paper Award" at the IEEE/RSJ Int. Conf. on Intelligent Robots and Systems (IROS 2013). At Rensselaer, he received the School of Engineering Award for Research Excellence (2016) and the James M. Tien'66 Early Career Award for Faculty (2017). Dr. Julius received an National Science Foundation CAREER award in 2010. S. Saha, A.A. Julius, Trajectory based controller synthesis for manipulator arms with metric temporal logic specifications, to appear on IEEE Robotics and Automation Letters, available online on IEEE Xplore, 2018. Z. Xu, A.A. Julius, Census Signal Temporal Logic inference for multi-agent group behavior analysis, IEEE Trans. Automation Science and Engineering, vol. 15(1), pp. 264-277, 2018. J.D. Ravichandar, A.G. Bower, A.A. Julius, C.H. Collins, Transcriptional control of motility enabled directional movement of E. coli in a signal gradient, Scientific Reports, vol. 7, Article number 8959, 2017. W. Qiao, J.T. Wen, A.A. Julius, Entrainment control of phase dynamics, IEEE Trans. Automatic Control, vol. 63(1), pp. 445-450, 2017. A.A. Julius, J.X. Zhang, W. Qiao, J.T. Wen, Multi-input Adaptive Notch Filter and observer for circadian phase estimation, Int. J. Adaptive Control and Signal Processing, vol. 30(8-10), pp. 1375-1388, 2016. A.K. Winn, A.A. Julius, Safety controller synthesis using human generated trajectories, IEEE Trans. Automatic Control, 60(6), pp. 1597-1610, 2015. K. Camlibel, A.A. Julius, R. Pasumarthy, J. Scherpen (editors), Mathematical Control Theory I: Nonlinear and Hybrid Control Systems, Springer, 2015.